Bonus 16 projects! You studied the fundamentals in Volume 1,then you built your design skills and worked with diagonal sets in Volume 2. Now you'll learn how to make a variety of triangle blocks with accuracy, precision and ease. 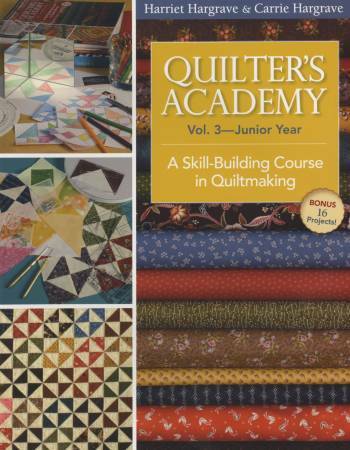 Harriet and Carrie also share creative quilting ideas.